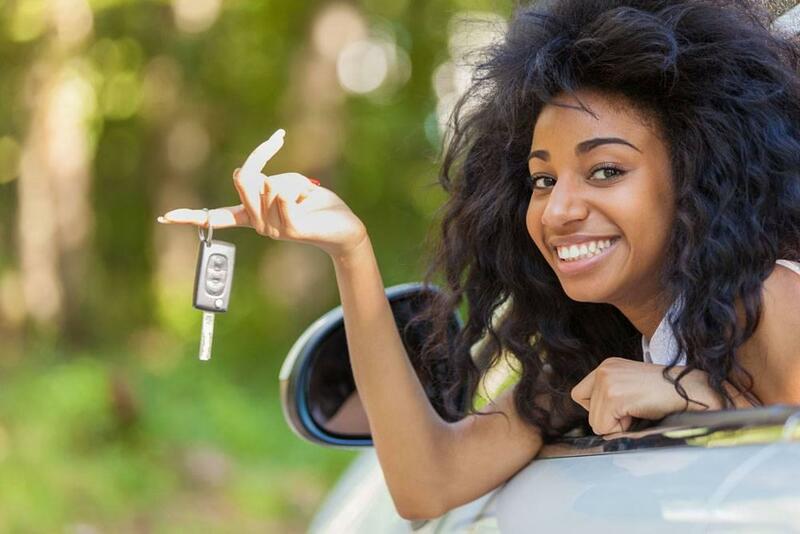 If you live in the Minnesota and have been turned down for a car loan in the past, don’t worry – CarHop in Crystal can help, even if you have bad credit! 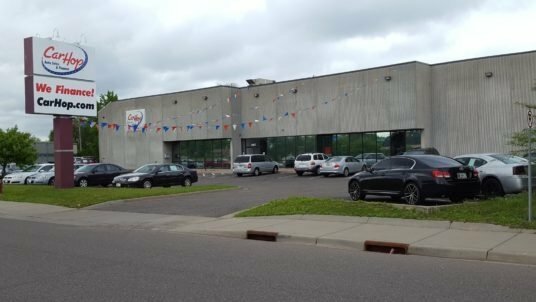 Open since 2002, our Crystal, MN location can get you the vehicle and auto-financing you need! Matt provided a helpful and friendly buying experience and the whole purchasing process was made alot better because of how well they took care of me and how much they championed for me. 5/5 would recommend for buying a car. Matt was awesome and got us into a car fast! Great at explaining everything! Thanks for all your help!! Polite, professional, friendly, straight forward, to the point and no pressure. Thanks to John and Chris! Each is fine in its own right, but let’s explore why you’re better off looking for used car sales. The Robbinsdale Transit Center is the closest depot to the center of Crystal, and you should be able to catch buses to Brooklyn Park, Plymouth, St. Louis Park, and other surrounding areas. The trouble is that missed connections will cost plenty of time, and you’ll likely need to make a few before reaching your destination. There’s talk of expanding the METRO up to Crystal, but you can’t take yourself to work each day on talk. At present, the Light Rail doesn’t reach Crystal. Use it to get into the big city if you must, but keep in mind you’ll need to arrange some other kind of ride to even reach the nearest station. This curb-to-curb minibus or van service operates through the seven-county metropolitan area. The major issue is that reservations must be made at least two hours in advance. They’re subject to availability, and Transit Link only operates on weekdays. It’s a decent last resort, but it’s a last resort nonetheless. Works like Transit Link, but only for certified riders who cannot use regular fixed-route buses due to a disability or health condition. Again, you’ll need to book Metro Mobility in advance. Nothing like the authentic long-distance bus experience of slipping into a cramped seat among 30 or so other passengers of varying hygiene. Of course, getting to your nearest station is the real trick. The closest Greyhound depots are in Maple Grove and Minneapolis, so expect a 15-30-minute car drive before you even reach the start of your journey. 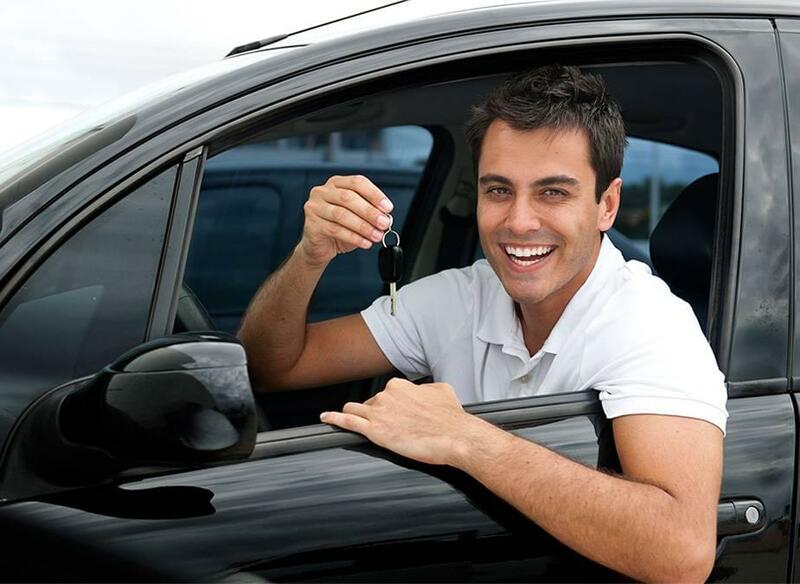 Buy Here Pay Here financing represents an ideal way to find a pre-owned car, especially when it’s backed by a great warranty and Satisfaction Guarantee. 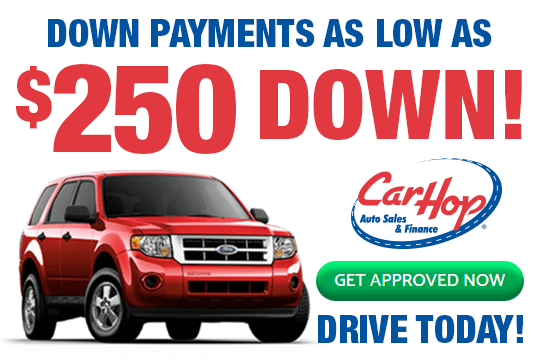 To find out more, contact CarHop today — we could even help you get a car if you’ve suffered from credit problems in the past.